Shefa Yamim (LSE: SEFA), a precious stone exploration company in Northern Israel, provides the following corporate update. In the second half of 2018, the Company continued its exploration programme with the aim of delineating a mineral resource at its most advanced project, the Kishon Mid-Reach. As is the case with many exploration companies the company is not expected to generate revenues at this stage of its development and frequently needs to raise further capital, as well as have the support and assistance from its creditors from time to time to delay payments, as it progresses towards commencement of mining. The board believes that it continues to have access to loans from certain supportive shareholders who have provided funds previously and have indicated that they will be in a position to do so again, should the Company require it. Consequently, the Board is satisfied that it has sufficient funds available to it to continue its exploration operations through until the end of Q1 2019. By mid-Q1 2019, following the publication of the TEE report in January 2019, the Company will be in a position to accurately quantify its funding requirement in order to progress towards trial mining in the Kishon Mid Reach Zone 1. As a result, it will need to seek additional funding specifically to complete certain milestones ahead of commencing trial mining as well as for general working capital requirements. The Directors are reasonably optimistic that the Company can raise additional equity funding from existing and new shareholders, as it has done in the past. Additionally, subject to funding, the Company will also continue to expand its exploration efforts to Zone 2 and Zone 3 in the Kishon Mid-Reach Area as well at the primary source in the Carmel mountain range in order to increase its understanding of the scale and scope of its unique deposits in the permit areas which includes the new mineral, carmeltazite. 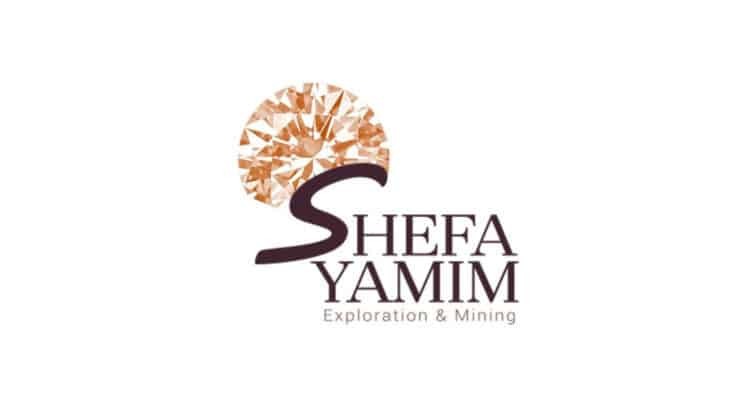 Shefa Yamim is a multi-commodity precious stone exploration and prospecting Company in Northern Israel. It has two flagship projects, Mount Carmel (volcanic primary bedrock sources of gemstone and industrial minerals) and the Kishon Mid Reach (secondary alluvial placer deposits hosting the gemstone and industrial minerals derived from primary bodies). After 18 years of exploration in a “greenfields” terrain, Shefa Yamim established a “Source to Sink” geological model and the presence of a Target Mineral Assemblage (“TMA”) in both primary volcanic sources and in secondary alluvial deposits lying within the Kishon catchment, on Mount Carmel and in the Ramot Menashe area. The TMA comprises gemstones and industrial minerals. The gemstones collectively make up the “Gem Box” suite, comprised of diamond (rare and small macro-diamond to microdiamond sizes), natural moissanite (that is rare globally), sapphire, ruby, Carmel Sapphire™ (a new sapphire type found, to date, only in northern Israel), hibonite (another rare gem), garnet, ilmenite and spinel. The heavy industrial minerals constitute the “HIM” suite hosting zircon (which may be gem grade at larger sizes) and rutile.